Cross-training is an important part of any training plan, especially for swimmers. Spending too much time in the water can actually do more harm than good. One of the major benefits of exercise is increased bone density from impact and gravity. This leads to healthier bones for your whole life. When you swim, there’s no impact and less gravity, so your bones don’t get this benefit and may actually decrease in density (much like an astronaut’s). So what can you do outside the pool to improve your swimming? Here are the top 5 sports that will improve your swimming performance the most. 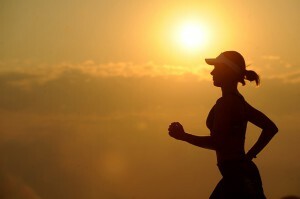 Distance, interval, or hill training is a great way to train for mental and aerobic stamina. Runners tend to have lean, muscular bodies with a low body-fat percentage. This is ideal for swimming as well, since both sports require efficiency over bulky muscle mass. Running also fosters mental stamina, since it is physically grueling and repetitive, much like swimming. Building mental strength and choosing to keep going after exhaustion will generate discipline in the pool. Caution: Running can also decrease ankle flexibility, which is essential to kicking well in the water. If you feel like your ankles are getting less flexible due to running (or cycling), it may be time to explore other options since this will mess up your swimming! 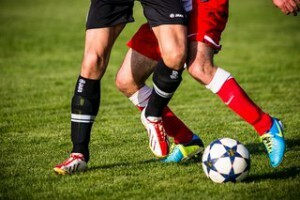 Soccer provides a great full-body workout, focusing especially on lower body strength. Lower body strength is the key to a powerful kick in the water. It also helps develop quick reflexes, since you are constantly shifting and adjusting position to follow the ball. Quick reaction time is important in swimming for the start of a race, as well as performing efficient flip turns. A slow reaction time off the diving board can cost you the race! One huge benefit of using soccer to cross-train is that it puts no strain on your shoulders. Swimming strains the shoulders because of the constant arm rotation, so giving your arms a break while you train is an added bonus of soccer. While I personally don’t enjoy yoga, athletes from any sport will benefit from trying it! There are yoga poses and exercises designated specifically for swimmers (to increase flexibility in ankles, shoulders, etc.). But more broadly, practicing yoga a few times a week consistently will increase overall flexibility, bone density, and body alignment. Bone density and body alignment can become disrupted if you spend too much time in the pool. There’s no gravity impacting your bones (which lets them get weak), and you use your pectoral muscles way more than your back (and legs), so your body is thrown off balance. Backstroke helps even it out a little bit, but yoga can be the key to developing overall body symmetry and restoring that natural balance that you’ve been missing. Skeptical? What about breathing? A huge part of yoga is learning to breath rhythmically. Sound familiar? It’s important in swimming too! Like swimming, yoga teaches you to breathe deeply and regularly even when your body is contorted or moving in unnatural positions. An obvious addition to swimming, water polo is one of the few sports played in a pool. 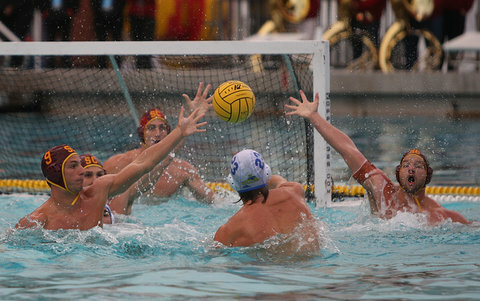 Aside from treading water and having to swim from position to position, water polo has hidden benefits to swimmers that may not be as obviously related to swimming. One benefit is just spending time in the pool. Swimming, unlike any other form of exercise, is performed under altered atmospheric conditions. In the water we feel lighter, less dense, but also completely enveloped in another substance which slows our movements. Getting used to the feel of the water and how our bodies react differently in it takes time, and can come as a shock if you’ve been out of a pool for the entire off-season. Maintaining contact with a pool without having to swim laps can be a huge benefit and can also help you associate the pool with fun activities, not just monotony. Believe it or not, gymnastics is the #1 sport/activity that benefits swimmers. Like distance runners and dancers, gymnasts tend to have a low body-fat percentage and have lean, muscular frames. Gymnasts have amazing core strength from twisting and flipping, which is essential for rotation through the water. Not to mention amazing ankle and shoulder flexibility, both very important for stroke power. Core strength also helps with flip turns, which can slow you down more than any part of the lap but also give you a speed boost if done well. The most important skill that gymnastics (or dance) can teach, however, is body awareness. 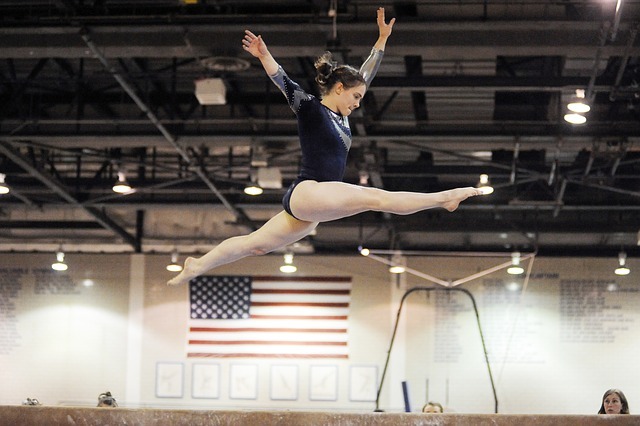 The tiniest change in body position can make all the difference in a jump or vault. Wouldn’t it be great if your coach said, “Raise your hips and rotate them 20 degrees more with each stroke”, and you could just tell your body to DO it? Try gymnastics or dance to get a better feel for where each part of your body really is, versus where you think it is. Your coach will thank you! This is by no means an exhaustive list of all the activities you can do. How do you cross-train for swimming? Running? Cycling? Other sports?